These are interesting tuning modules for Yamaha and Bosch E Bikes with some really cool optimization options. The great feature of these tuning tools is that the tuning settings can be easily individualized via the control buttons at the E Bike display – you do not need a PC or a smartphone. For example, you can set the maximum motor support to a self-chosen value between 25 and 99 km/h. A really innovative feature is the option to set a so-called "dynamic mode" - in this mode the unpleasant "wall effect" is reduced (meaning the abrupt shut down of the motor support when reaching the maximum supported speed). This leads to a considerably improved driving experience. In addition, the tuning can be switched on or off at any time via the buttons at the E Bike display. Another advantage: Even when tuning is active, the display will still show the correct speed. As you can see, the VOLspeed tuning boxes are versatile tuning modules which enable you to optimize the driving characteristics of your Bosch or Yamaha electric bike in many different ways. Like other tuning modules, the VOLspeed Tuning Box must be attached to the engine. This is absolutely non-destructive, no cables have to be modified or destroyed. According to the manufacturer, the installation should not take longer than 15 minutes. By the way, after installation the tool is no longer visible from the outside anymore. 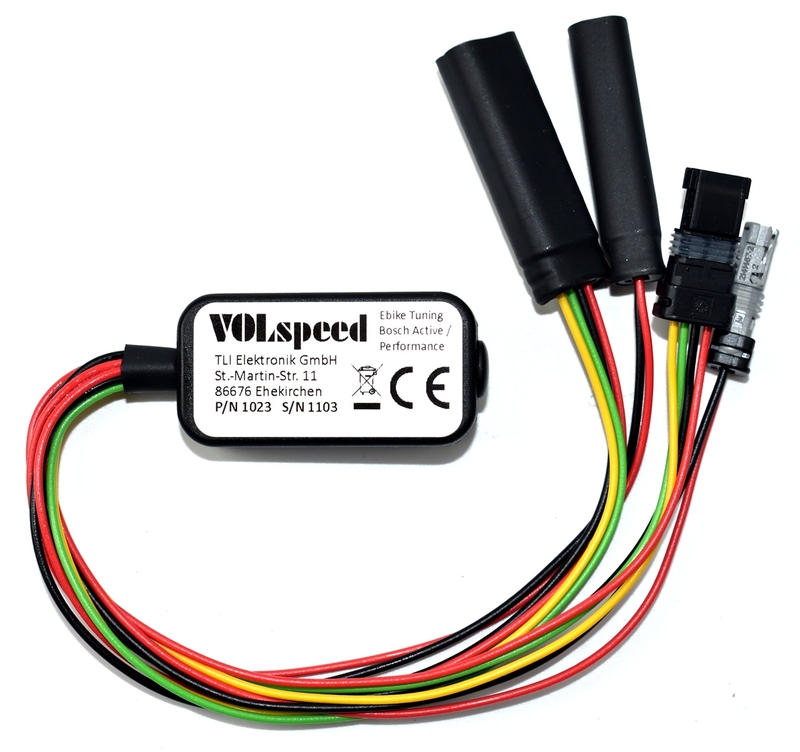 The VOLspeed Tuning Boxes are produced by the TLI Elektronik GmbH from Ehekirchen (Upper Bavaria) - that means these tuning products are "Made in Germany".